Across the country, 40 million people live in food-insecure households, uncertain of having enough food to meet the needs of all their family members. Many of these families earn too much to qualify for food stamps, but not enough to consistently purchase nutritious food. The problem is most pronounced in families with children, but seniors, especially those with limited transportation options, also struggle to access healthy food. 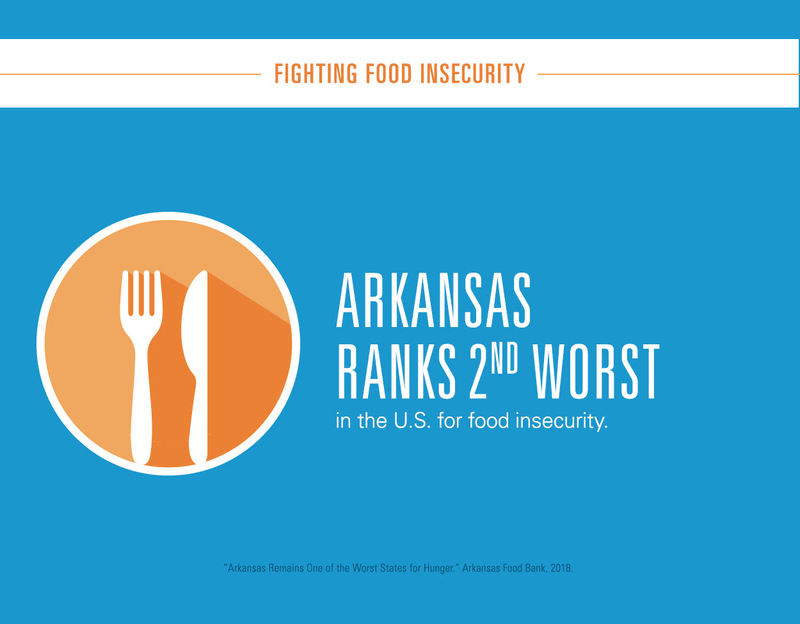 In Arkansas – a state that ranks second in the country for the number of people facing food insecurity – nearly 500,000 residents struggle daily to purchase enough food to support a healthy life for themselves and their families. Many rural areas within the state are food deserts, where grocery stories are few and far between and lack of transportation makes them hard to reach. This is the inspiration for the Fearless Food FightSM initiative. The year-long effort brings together colleges and universities, schools, businesses, healthcare systems, and community and faith-based organizations to ensure people in need have adequate, healthy meals. 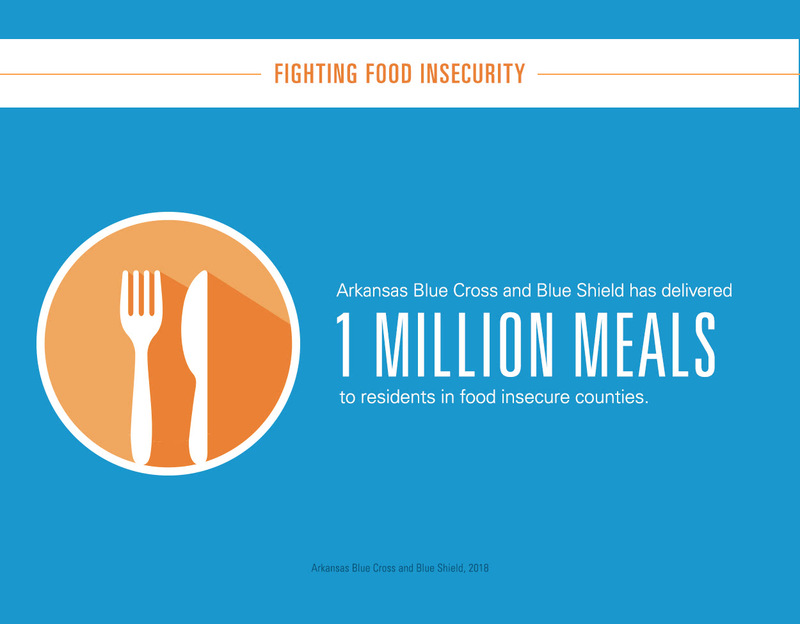 Arkansas Blue Cross has packed and delivered more than 1 million meals since March, surpassing its original goal of 700,000, and closing in on a new target of 1.2 million. 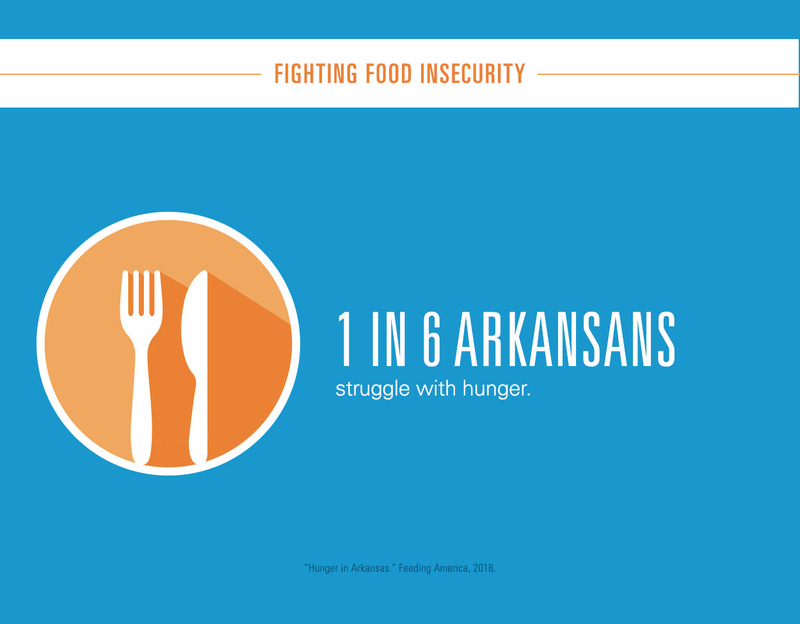 Food insecurity is an important social determinant of health. Research suggests that adults who are food insecure are at an increased risk for a variety of negative health outcomes, including obesity and chronic disease. And food insecurity can be especially devastating to a child’s development. Children without access to enough nutritious food are more likely to develop slowly and have trouble learning. They are also more prone to illness and tend to be hospitalized more frequently than children from food secure homes. 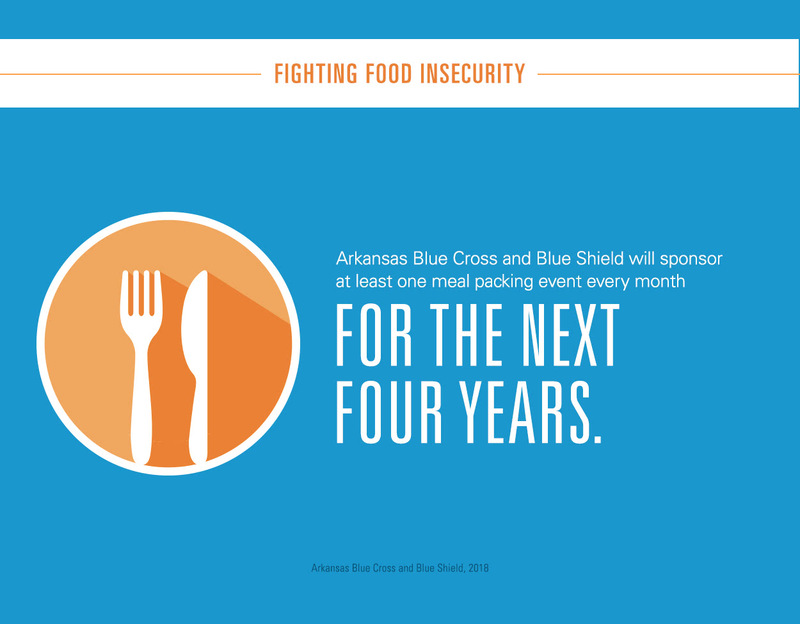 Following the Fearless Food Fight initiative which officially ends December 2018, Arkansas Blue Cross has committed to sponsoring at least one meal packing event every month for the next four years. The company is working with the Arkansas Hunger Relief Alliance to continue to identify programs and projects that help make fresh fruits and vegetables available in areas lacking in healthy food options, help farmers place their crops in markets and convenience stores, and teach parents and young children about nutrition and how to cook healthy meals.